The Hitman returns at WORLDS! Matthew Fernandez just published this amazing video and compilation of footage from the Bay Area Classic contest that took place in May. #WYYC or #WYYC2013Tweets about “#wyyc OR wyyc2013” IT’S WORLDS WEEK! 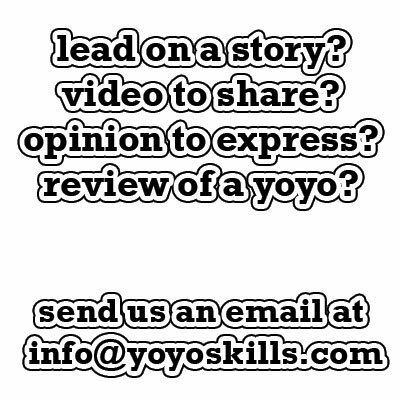 Since 2009 YoYoSkills.com has covered the World Yo-Yo Contest. This weekend will be no different. The World Yo-Yo Contest begins August 8th and goes through Saturday August 10th. YoYoers from all over the world will be in attendance and yo-yo companies will be showing off new products….